The HARVESTER 6.0 family of SIGINT database applications continues provide unique, powerful and cost-effective solutions to a wide range of collection requirements. Now fully network enabled, even the simplest collection mission can function in a multi-user collection environment, focussing the collection effort into a single database. Integrated with a stable database architecture, HARVESTER 6.0 is a Signals Intelligence collection tool that will easily handle the vast qualities of intelligence that can be gleaned from any COMINT, ELINT or FISINT signal intercepted between 0 Hz to 100 GHz. 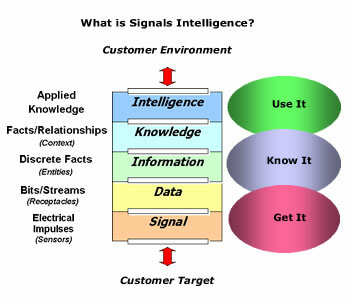 With a strong focus on the storing of collection of raw SIGINT, intelligence can be easily retrieved and analysed to recover such useful information as operating procedures and schedules, frequency plans, variations in system specifications, operator characteristics, call sign systems, trends in traffic and message texts, platform movements, transmitter locations and much more. Using Local Case Files and TEXTA functionality, procedures, trends and observations can be annotated and rapidly accessed to provide a unique assessment of intercepted signals. At the heart of HARVESTER 6.0 is the Target Frequencies screen. Here, frequencies can be added or edited and search results can be displayed. To aid signal identification, a full list of frequency parameters, as well as a list of previous intercept dates and a 7-day calendar graphically displaying logged operating days and times of the broadcasts and interceptions, a list of known designators, talkgroups and transmitter site information are also shown. HARVESTER 6.0 stores over 60 individual frequency details, including over 30 different technical parameters, or parametric values, for every single frequency entered giving you the ability to simply and quickly identify and classify a signal. Common parameters such as shift, data rate, drum speed, IOC, words per minute and polarity can be entered as can the characteristics of more complex systems, such as alphabet, antenna polarisation, autocorrelation frequency, bandwidth, baud rate, bit inversion, broadcast style, centre frequency, character length, character repetition cycle, cryptographic preamble, cryptographic system, CTCSS tone, FEC, frame length, interleave, interleave length, multiplex, MFSK tones, MFSK tone spacing, parity, pilot frequency, pulse rate, pulse width, start bits, stop bits and symbol rate. Not only does HARVESTER 6.0 handle common single channel voice and data signals, but also composite multi-channel signals such as FDM, TDM and DVB, which are mapped in frequency, time and digital domains respectively. It even handles trunked networks and talkgroups, radar, telemetry and jamming signals, in fact any signal between 0 Hz and 100 GHz, bringing professional specifications to the amateur market. The real power behind HARVESTER 6.0 lies in its ability to store both current and historical SIGINT, making it an invaluable research tool for extracting and analysing intelligence trends. Intercepts can be entered and viewed on the Target Frequencies screen or the Intercept Log, where intelligence as diverse as active call signs, LOB logs, intercept logs and message logs can be stored against each emission. All intelligence is date and time stamped to aid later analysis. The key to consolidating gathered intelligence and processing it into valuable SIGINT product largely depends on attributing intercepted signals to the correct organisation. HARVESTER 6.0 accomplishes this through the extensive use of a UKUSA-style Case Notation system and by a country-by-country hierarchy of organizations to which echelons, elements and personalities can be attached with associated addresses, schedules, call signs, other identifiers such as ALE and Routing Indicators, ICAO and IATA airfield and airline codes, WMO Observing Station numbers, SELCAL codes and channel plans. A directory of contacts and platform movements can also be attached to organisation. The HARVESTER 6.0 database has been specifically designed with reporting in mind. After all, gathered intelligence is useless unless it can be reported on, queried and processed. The database can be queried by simple database SQL queries tool to recover and produce the desired intelligence, or SIGINT Product. Even simple queries such as when and where a particular call sign has been used can be provided along with the date, day and time of day, the frequency, who intercepted it and in what part of the world it was intercepted, the signal quality, a LOB bearing if available, who the call sign worked and what traffic was exchanged. The Harvester SIGINT Data Loader provides HARVESTER 6.0 users with the ability to import frequency, data and intelligence product as well as system updates downloaded from our website. These update the HARVESTER 6.0 Global database with historic as well as current intercepts and SIGINT product from around the world. Please contact us for details of this feature. HARVESTER 6.0 is available in four configurations to meet varying customer requirements. Both versions are designed to the same high specifications ensuring that no matter which option you choose, you really can do SIGINT like the Pros do it. As with previous editions of HARVESTER 6.0, we continue to provide a bespoke development service on both Standard and Professional editions to ensure that we meet all the functionality requirements of our users.